Newly painted, new carpet! New granite tops, back-splash & appliances in kitchen. New light & plumbing fixtures. Move-in ready. Enter foyer into spacious Great Room with see through Fireplace. 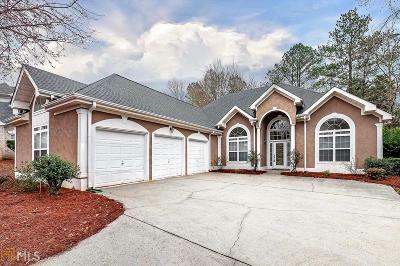 Master on main with handicap accessible shower and large walk-in closet. Huge Bedroom upstairs with Bath & walk-in closet. 3 car garage.